Our rooms are located in different buildings with multiple rooms. It is possible for several families or friends to stay together in the same building. We have several double rooms. Each room has its own bathroom with bath and/or shower and toilet. There is a kettle in the rooms with free coffee and tea. A cot can be placed in some rooms. This can be rented in the hotel or you also may bring your own. We also have triple and quadruple rooms for families. 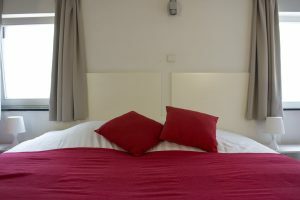 The triple room has a double bed and a single bed. The quadruple room has a double bed and a bunkbed. On the other side of the hotel we also rent two small apartments with a kitchenette. These rooms have a sleeping area and a double sofa-bed in the living room. The apartments are rented with hotel service. 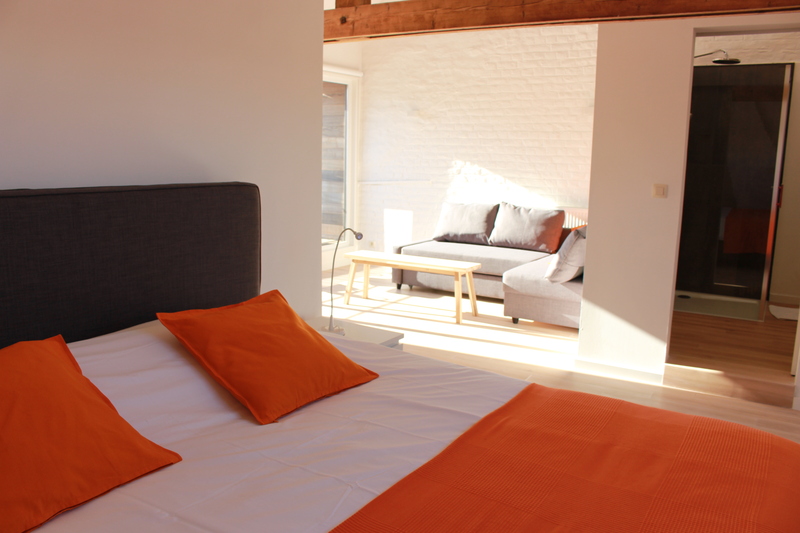 Recently, we have added a cosy loft where 2 to 4 people can stay. This room has a double bed and a double sofa-bed, smart-tv and a bathroom with a rainshower and a pleasant balcony where you can enjoy the evening sun.